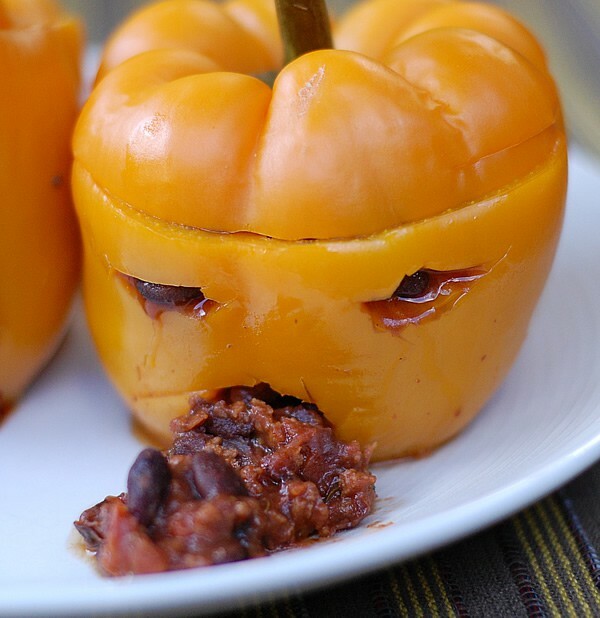 I can turn any recipe into a spooky extravaganza and these Super-Scary Spicy Chili Stuffed Jack-O-Peppers are no exception. But don’t worry, if Halloween’s not your holiday, no one turns their back on a warm bowl of hearty chili when the temperatures drop. So enjoy it in a scary bell pepper, a plain bell pepper, or even some chili all by itself. This chili get’s its spice from chipotle peppers in adobo sauce. It’s pureed into a sauce with the juice from the canned tomatoes, so you can make it as hot as you want by adding more or keep it mild for the kids and serve it all on the side. It also makes for some spooky “blood” for your scary stuffed peppers. Another decorating trick is to stick a bean in each eye to make them seem a little more real. Drain the tomatoes in a small food processor. Don't worry about getting every drop out of the can or squeezing them dry. You just want to get what pours out freely. Add 1 to 2 chipotle peppers to the food processor depending on how hot you want your sauce to be. You can also spoon some extra adobo sauce in from the can to get the heat level up. Puree and set aside. 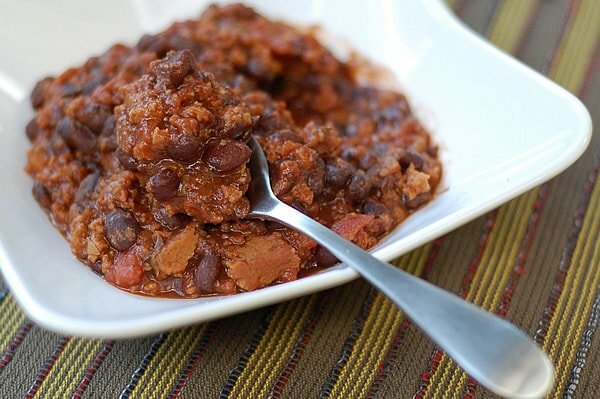 In a 1½ to 2 quart slow cooker add the contents left in the tomato can, 1 to 2 teaspoons of the chipotle sauce you just made, black beans, seitan, garlic, oregano and chili powder. Cook on low 7 to 9 hours (or 4 to 5 hours on high). Serve with lime wedges and chopped cilantro along with the extra chipotle sauce you made on the side. Preheat oven to 350 and grease (or line with parchment paper to make oil-free) a Dutch oven or a casserole dish and use foil later to cover it. Using a sharp knife carefully cut the top off. Cut away the seed portion that will probably stay with the top. Then cut away any of the whiteish parts on the inside ribs and remove any seeds that fell in. Now you will use a small paring knife to cut out the face. you can use any Jack-O-Lantern patterns, but be mindful that the holes aren't too big or your chili will run out through the very holes you just cut. I really recommend stuffing one bean in each eye to help with leakage and just because it looks good and spookier! Stuff your works of art with the cooked chilli. It can be hot or from the fridge since you will be cooking them. Place them in the Dutch oven, cover and cook for 20 to 30 minutes or until the peppers are easily pierced. They will be hot and oozing, so use a large spoon to scoop them onto a plate. 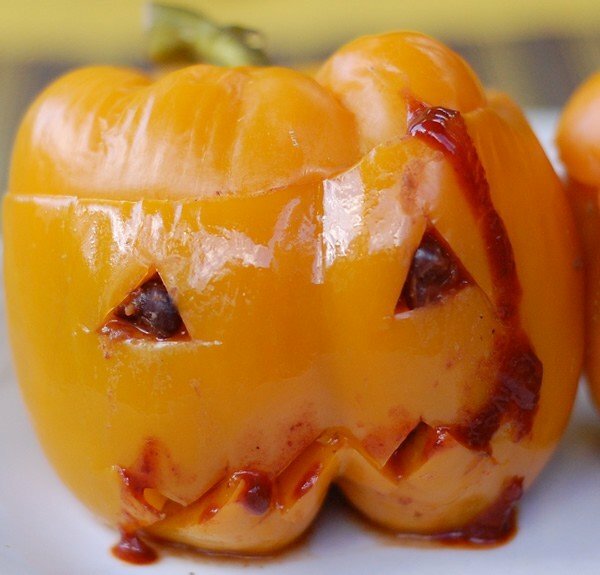 Using the end of a knife or a tiny spoon, paint chipotle sauce blood on your Jack-O-Pepper. You could serve this on a bed of black forbidden rice to take the theme even further. Slow Cooker Directions for cooking the finished stuffed peppers: To bake them in a slow cooker you will need to use a 4 to 6 quart slow cooker to have the 4 peppers fit inside without crowding. Add a little bit of water, but not enough to come up to the holes you've carved. Cook on low 6 to 9 hours. Still be very careful lifting the piping hot peppers out! Smoky foods are the best! You just made me laugh out loud!! Oh my! Those are some scary peppers you’ve got there. Love them. That’s a great idea to get kids to eat veggies. Seriously the CUTEST THING EVER!!! I love this. Even though I hate this holiday, I still may make these for myself! HA HA. Not sure what you mean about with this step: Drain the tomatoes in a small food processor. Don’t worry about getting every drop out of the can or squeezing them dry. You just want to get what pours out freely. It was a long version of drain the liquid from the canned tomatoes into a small food processor. Awesome! 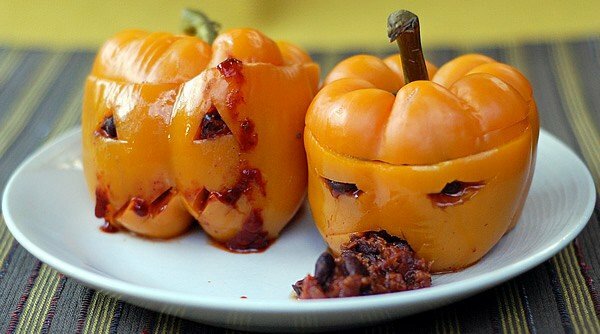 Best idea I’ve ever seen for stuffed peppers. I love stuffed peppers but have never thought to make them in the crock pot, BRILLIANT! Pinning these for next Halloween to make with my kids. Where do you find the Sweet Earth ground Chipotle flavor? 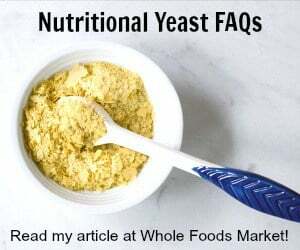 I could not find it anywhere that I normally shop and I went to the Sweet Earth site and they don’t have it listed anywhere within 100 miles of Raleigh. Help! That is an older recipe I made, but you could add chipotle powder or 1 whole chipotle in Adobe if you like it hot.